August Smart Lock Pro Vs Schlage Sense Smart - Whats the Difference? If you're like me, you are constantly wondering where you put your keys, your wallet, your glasses and most importantly, whether or not you locked the door to your house before you left. Before smart home tech and the internet of things, I was constantly left wondering if I had locked the door or not as I left for work. Today, there are so many gadgets that you can place in your home that solve all kinds of problems like mind. You have air monitors, automatic coffee machines, smart speakers, and of course, smart locks. Smart locks allow you to lock and unlock your door with your smartphone, lock your doors with your voice and check if your doors are locked simply by asking your smart speaker or checking your phone. For me, I love the ability to know if my doors are locked, simply by asking my Google Homeor looking at my phone when I'm away. It gives me peace of mind. So if you are in the market for a smart door lock, which one should you get? Well, August and Schlage both have some really good offerings that grant you all sorts of features. Specifically, today we will be reviewing the August Smart Lock Pro and the Schlage Sense Smart Deadbolt. 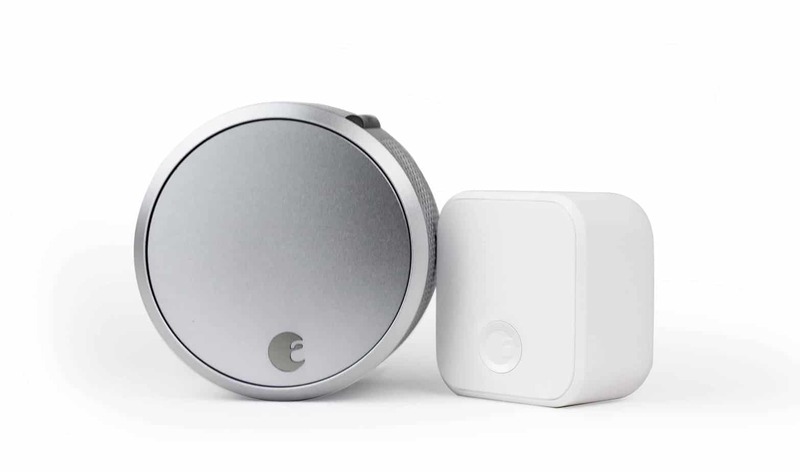 The August smart lock pro is an interesting looking, round device that comes in black and silver, which functions as your deadbolt for doors in your house (like the front door). It works through Bluetooth and a number of other frequencies are supported through the adapter that can be purchased either separately or as a bundle. The August Smart Lock is compatible with Android, IOS, and smart speakers like the Google Home .It's available from Amazon and has a four-star rating with over 700 reviews. So what are the pros and cons of the August Smart Lock Pro and should it be the new addition to your smart home? Find out below. As one of the higher rated smart locks out there, August has a well-rounded product with the Smart Lock Pro. From its compatibility with other devices to its guest access feature, there's a lot to love here. Before you buy anything for your smart home it's critical that you ask yourself a few preliminary questions. 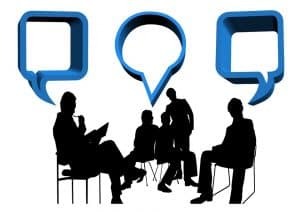 You want to know whether or not it's compatible with your smart speaker of choice.You also want to know whether or not it's compatible with IFTTT so that you can extend its functionality to include other devices in your house in order to make your house your own. Thankfully, when it comes to your smart speakers, the August Smart Lock Pro is compatible with Amazon Alexa, Google Home, and Apple HomeKit (Apple HomePod). This means that no matter what you use, you will be able to control your smart lock to some extent with your voice. So regardless of whether you are in your bed or carrying a full load of groceries, you can be sure that you will be able to lock your door behind you, hands-free. For what the app or your smart speaker can't provide you natively, the August Smart Lock Pro is compatible with IFTTT. IFTTT, or If This Then That, is an app that allows you to connect devices like the August Smart Lock Pro with other devices like Wemo and Philips Hue ​​in order to perform actions like turning off the lights when the door is locked or turning on a Wemo switch when the door is unlocked. The possibilities are as endless as there are devices to connect to. When purchasing a smart lock, it's never bad for it to have compatibility with as many frequencies as possible. Bluetooth and WiFi are usually a given, but it's nice to see that the August Smart Lock Pro is also compatible with Z-Wave Plus. Z-Wave Plus is a secure frequency that allows you to connect your August Smart Lock Pro with devices like the Samsung SmartThings hub. Having this ability adds more functionality and ability because different home hubs accomplish different tasks or allow you to tie in with other ecosystems for a seamless smart home feel. Do you ever wish that you could let someone into your house without you actually physically being there? Maybe your friend is coming over but they are going to get there before you, maybe your spouse left their key inside, or maybe you have the in laws staying over for a few weeks over the holidays. By simply granting them access with the app you can decide who gets access, when they get access, and for how long they may freely enter your home. This gives you freedom over your home, even when you aren't there, and have the peace of mind that you can see when someone enters or leaves as well. Are you the kind of person that carries all of the groceries inside at once like your very life depends on it? Well, August Smart Lock Pro has the solution for you. Your August Smart Lock Pro has the ability to unlock when your smartphone is in range of your home. This means that you don't have to set all of the groceries down to take out your keys, or you don't have to fumble for the lock in the dark when you're coming in from a long night out. Has all of this talk of letting people unlock your home at any time made you a little apprehensive? Do you wonder how you are going to keep track of it all and make sure that your house is protected? Well, it's actually easier than you may think. With the August app, you not only get a log of the comings and goings in your house, but you can also set alerts as well. This way you will always know what's going on in your home and who will be there when you get there. So the August Smart Lock Pro has a lot of cool features, unfortunately, there are some cons that you may want to consider when thinking about buying the August Smart Lock Pro. It should be noted that these cons probably aren't deal breakers for most people, but if you don't have a lot of room for additional WiFi bridges or you have any issues with the app being your only means of entry aside from the key, this smart lock might not be the best option for you. One of my least favorite things about having a lot of smart home tech is the endless adapters and bridges that I must have either taking up an outlet or an ethernet port on my router. The August Smart Lock Pro is no different, you are required to have a bridge that plugs into an outlet in order to have full functionality with devices like an Amazon Echo ​​or Google Home. This doesn't mean that you can't keep this all organized with power strips and ethernet adapters that connect to your router. One good power strip can easily hold all of your bridges, significantly cutting down on the cables and space that your system takes up. One of the features that the August Smart Lock Pro doesn't have that the Schlage Sense Smart Deadbolt does is a keypad. The Schlage has a 9 digit keypad so that if you don't want to use the app or your key you can simply type in your code. This brings some unique functionality both with and without the app that adds some uniqueness and customization to the Schlage Sense that just doesn't exist with the August Smart Lock Pro. Are you looking for a stylish smart lock to up the premium feel of your house? Schlage has the perfect device for you. The Schlage Sense Smart Deadbolt comes in a few really stylish designs to fit your home and they look high end. Where the August Smart Lock Pro looks very modern and like something that you'd expect to see in a home from the future, the Schlage Sense looks more toned down and classic. Despite its looks, the Schlage Sense comes with some really cool features that might make you want to add this to your smart home. 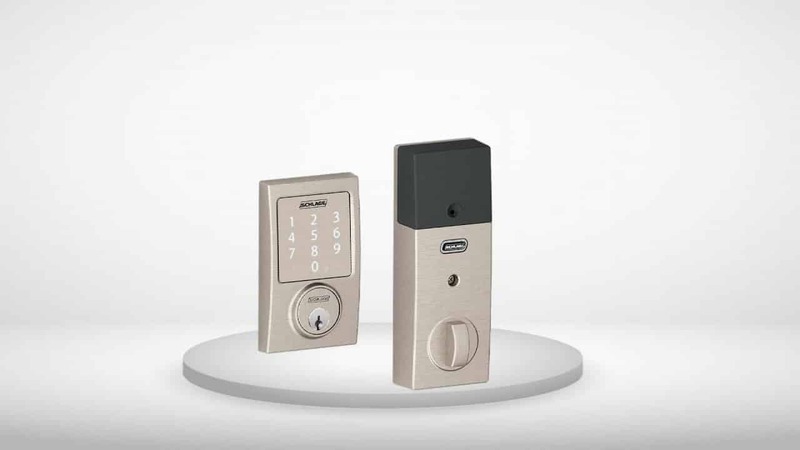 The Schlage Sense has a lot going for it with its keypad, smart speaker functionality and guest access features. It's got a four-star rating on Amazon with over 600 reviews. Let's check out some of the reasons that this smart lock is worth having. The Schlage Sense Smart Deadbolt has a distinguished look that comes in copper, satin nickel, and matte black. The outside facing handle is curved and is sure to look good on any door. There is also a keypad that you can type your code into to unlock the door. Compared to the August Smart Lock, it's something that you'd instantly recognize as a door lock and know how to interact with it, regardless of whether you want to use the key, keypad or app. As mentioned previously, if you are going to build a smart home, it's important that your devices are compatible with one another. Thankfully the Schlage Sense is compatible with Apple HomeKit, Google Home, and Amazon Alexa. This means that you will be able to lock your doors with your voice and be able to make sure your door is just by asking. One of the great features of smart locks, including the Schlage Sense Smart Deadbolt, is that you can grant access to your friends. You can give them access with the app as well as keypad access. Your keypad holds up to 30 codes so that you can give access to your kids, friends and you can even give a temporary key to the delivery driver so that you don't have to be there when they deliver your package and rest assured that no one will take it. You can even expire the code after they leave and lock the door behind them. As with the August Smart Lock, the Schlage Sense Smart Deadbolt can be set to unlock when your smartphone is in range. If you are carrying something heavy or just want to feel cool when you come home, then you will love the auto unlock feature. When you are allowing people into your home without your presence, security is of the utmost importance. The Schlage Sense has a setting that will alert you when someone comes in or leaves, allowing you to know who is entering the home or leaving and allows you to make sure the door is locked. Along with alerts, you have a log that you can look through at any time. If you have kids, it's almost inevitable that one day they might try to sneak out if the house. If anyone leaves or enters the home you can look at the log any time and see who came and went throughout the day and night, so no secret parties when they should be sleeping. Access codes are a feature of the Schlage Sense that is absent on the August Smart Lock. This is a shame because having a keypad is handy and gives you multiple ways to interact with your smart lock. This is good news for the Schlage, however, because it gives them an edge and allows for more options and customization. The Schlage is a pretty solid device overall. There aren't too many complaints other than the usual smart home gadget complaints about taking up space and outlets. Like the August Smart Lock, the Schlage Sense Smart Deadbolt requires a bridge that requires that you have to plug into an outlet. This isn't a dealbreaker as it's usual for smart home gadgets to require some kind of bridge or attachment of some kind. As of this time, there is no IFTTT support for the Schlage Smart Deadbolt. This means that you will have limited ability to connect your smart lock to other devices for extended functionality. Smart locks definitely bring a lot of functionality into your home. They give you a lot of freedom and have features built in to help you keep track of everyone coming into your home. So should you buy the Schlage or the August Smart Lock? Well, it really depends on how much you like to customize. IFTTT is a really great app that extends a ton of functionality through your home and that for me makes August my go to. If you just want a device that looks really nice and ties into your voice controls while giving you most of the August functionality, the Schlage will be a great option for you. So what do you think? Do you have a smart lock right now? If not, are you thinking about trying out one of these? Let us know what you think in the comments. 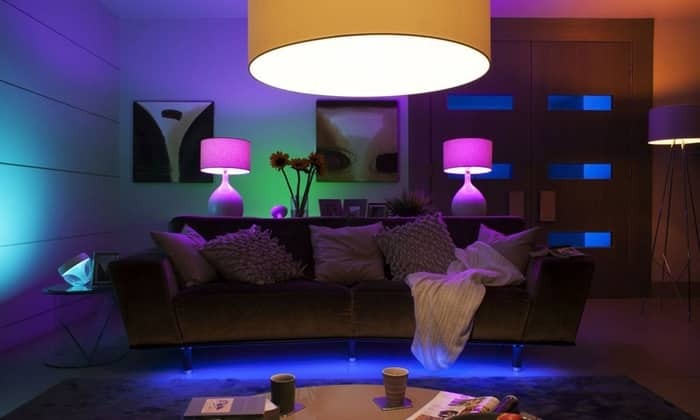 Philips Hue Review: Smart Lights Never Looked So Good!